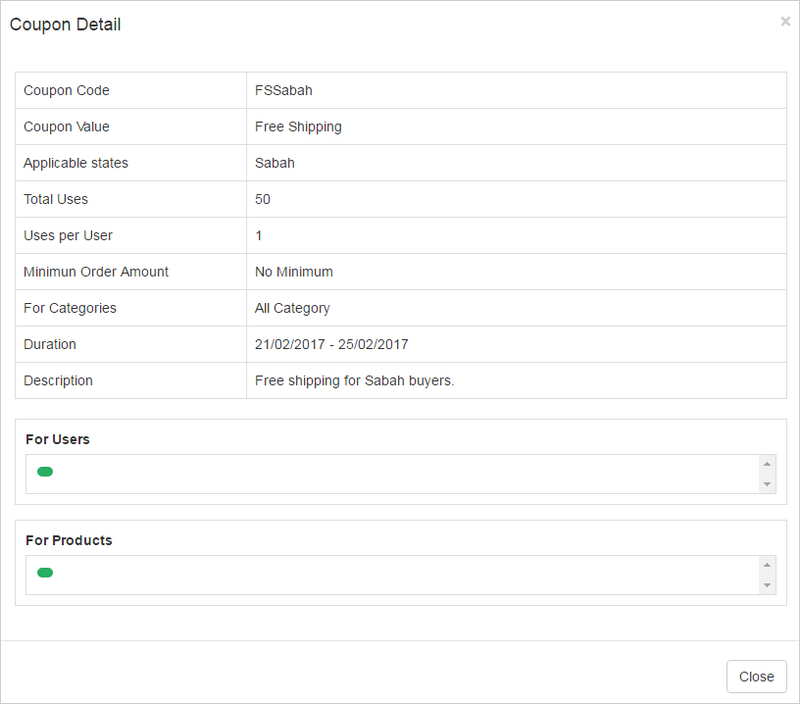 /Lelong Seller Guide / Coupon / Lelong Seller Guide /How to manage coupons? Coupon codes allow you to provide customers with various discounts on products from your store. Each of the created coupon will be in your account for easy manage. Once coupon is created. It cannot be changed. It can only be terminated and this action is not reversible. After log in to your merchant’s account, click on “ D. My Store ” then “ 4. Coupons ”. 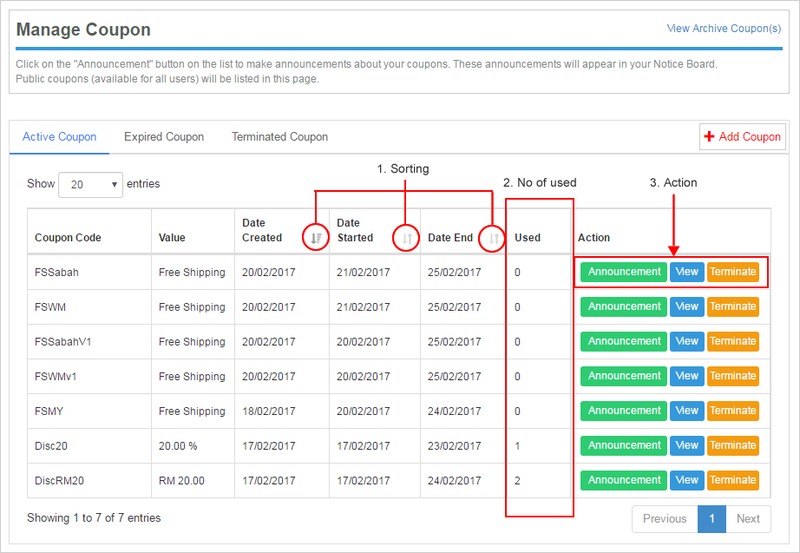 You may check your current and active coupon(s) under “Active Coupon” tab. Sort the “Date Created”, “Date Started” and “Date End” either ascending or descending. .Check total number of coupon applied. b) View – The details of the coupon will show. c) Terminate – If you wish to terminate the coupon. * Please allow some time for it to refresh the content at product page. 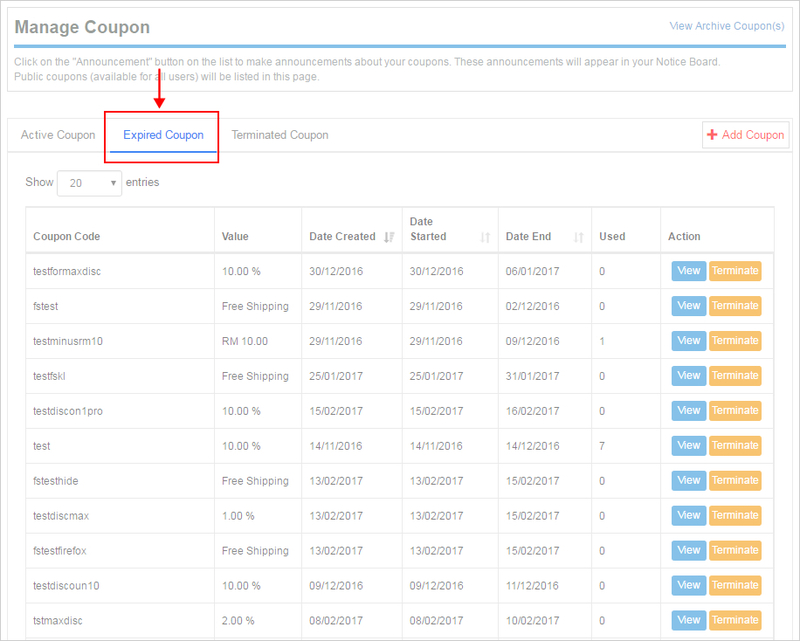 You may check your expired coupon(s) under “Expired Coupon” tab. 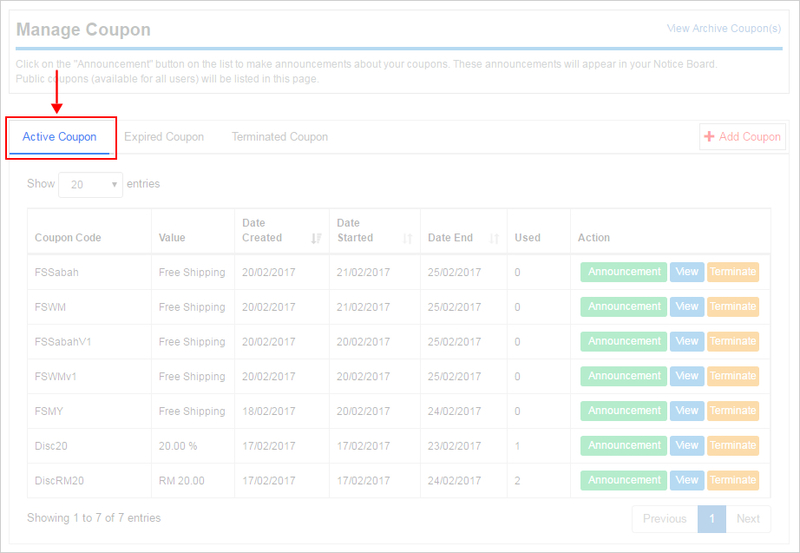 Under “Terminated Coupon” tab, you will able to check the coupon(s) that you have terminated. You may check your coupon terminated date under “Date Terminated”.